Ghent. Last sunday. Brunch time. Here goes to... a new pop-up restaurant, where they take the concept of 'healthy' to a whole new level. Raw, vegan, pure, light, lip-smacking and I could just go on until my list of adjectives is completely exhausted. 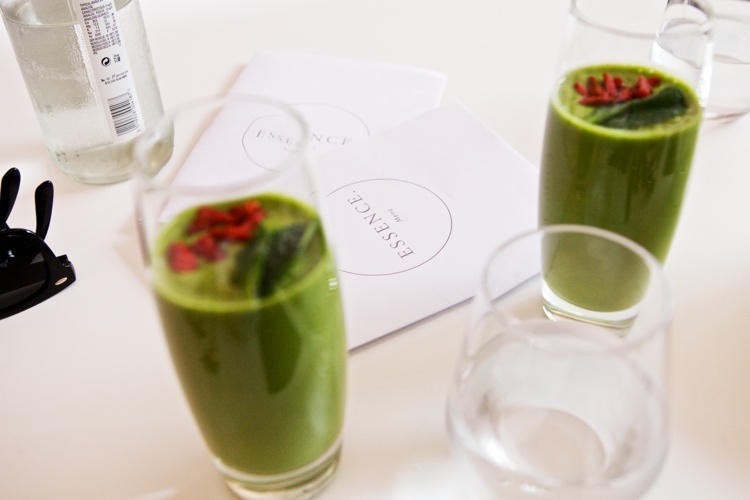 They do the greenest smoothies, and chia seeds puddings, and granola with almond milk. Things mostly reserved for a Californian setting are now available for you to try out in the heart of Belgium. I think this place might just become my new obsession and I'm worried as to how many times I would need to drive down to Ghent for a sunday brunch (or a random dinner between thursday and the end of the weekend). Thank you for having me, Essence! Great pics, I want to try this healty place! !